While some households will pay a slight reduction in fees, hundreds of thousands of households will have to pay 28% more than in 2014, according to Victoria’s Auditor-General’s office, which is investigating the smart metering system. In Australia, energy companies in Victoria have received approval to increase annual smart meter fees by up to 28%, according to local media reports. The Australian Energy Regulator last week rubber-stamped smart meter charges for 2015 of between AUD109.40 (US$90) and AUD226.30 (US$187) depending on energy supplier. Politicians are citing the overspending on the rollout by energy companies for the hefty increases. Power company Jemena’s charge for next year is AUD226.30 (US$187), up 17%. AusNet Service’s charge is AUD205.50 (US$169, up 28%, and United Energy’s charge is AUD154.50 (US$127), or 9% more. CitiPower’s AUD115.90 (US$96) fee is down 60c (US$0.50), and Powercor’s AUD109.40(US$90) charge is 5% lower. Energy companies that have overspent on their smart meter deployments have pointed the finger at delays caused by the former Liberal government’s project review, public resistance to the meters’ introduction, shortages of installers forcing up wages, and the delayed introduction of time-of-use electricity tariffs, according to local media reports. In September 2014, the Australian Energy Regulator also passed new regulations to penalise electricity distributors that had yet to upgrade all customers, adding to their financial woes. 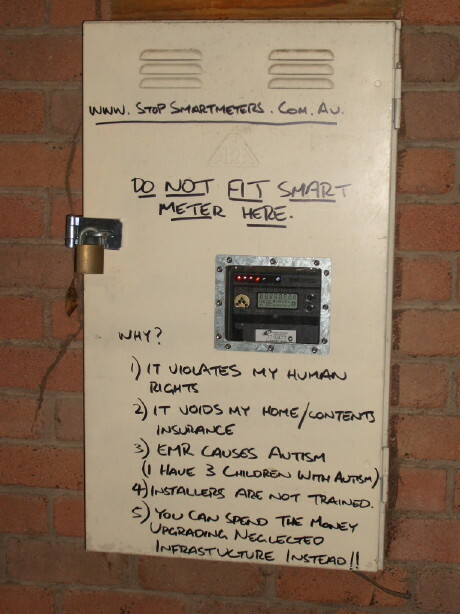 Any distributor that had not attempted to install a smart meter in a Victorian home or small business by June 30, 2014, had to pay the customer a rebate to compensate them for potential savings that would have made through using the energy-saving technology. The regulations stated the distributor must pay a one-off payment of AUD125 (US$103) by the end of October, 2014. The news about the hike in smart meter annual fees comes as the independent watchdog, the Auditor General’s Office, has announced it will conduct an audit of the state-wide smart meter program by June 2015. Reports estimate that the total cost of the rollout of 2.8 million smart meters in Victoria could top AUD2.4billion (US$1.9 billion).